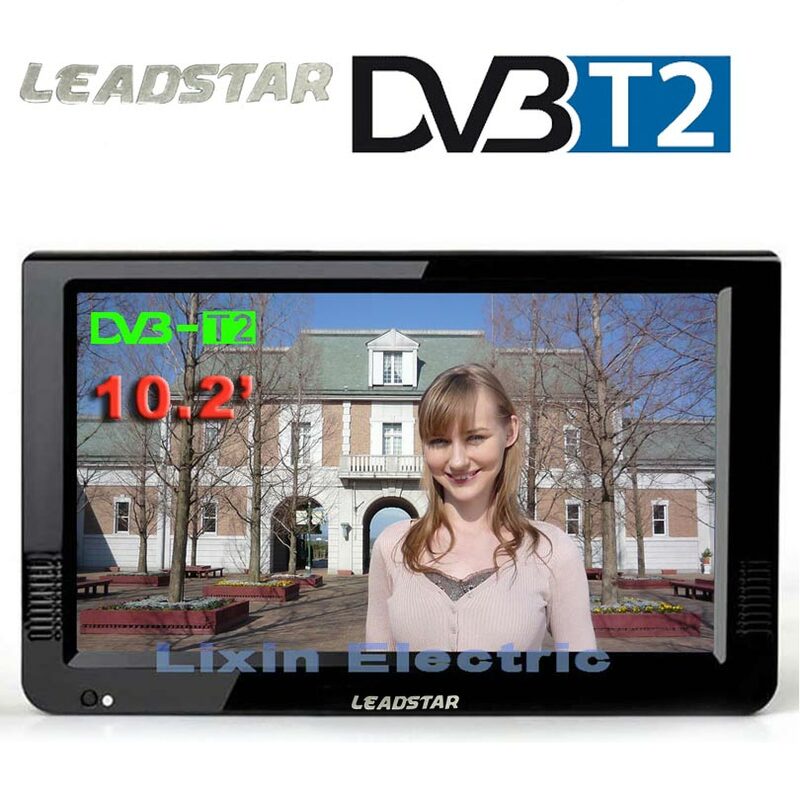 Main specification 10.2 inch 12V DVB-T2 Portable TV English And Russian Menu. This TV supports the reception of the national digital TV DVB-T and DVB-T2 World Wide Digital TV Standards (for your reference) The Blue and Dark Blue countries in the map are DVB-T and DVB-T2 Russia, Belarus, Russia, Ukraine, Estonia, Latvia, Lithuania, Moldova, etc Spain, Portugal, United Kingdom, Ireland, Italy, Netherlands, Belgium, Luxembourg, France, Finland, Sweden, Norway, Monaco,etc Romania, Bulgaria, Serbia, Macedonia, Albania, Greece, Slovenia, Croatia, Bosnia and Herzegovina, Vatican City, San Marino, Malta, Andorra,etc Israel, Turkey, Saudi Arabia, United Arab Emirates, Cartel. Bahrain, Kuwait, Iraq, Iran, Azerbaijan, Armenia,etc ------------------------------------------------------------------------------------------------------------------------ Please note this tv can not receive digital tv signal on below countries,but support the analgo tv signal by our item on these countries: Janpan is ISDB-T Brazil is ISDB-T Chile is ISDB-T Korea isATSC, T-DMB America is ATSC,ATSC M/H Please note! Confirm local digital television system. If you have questions, please ask the seller (we will respond promptly) Thank you. When you place an order, please choose a shipping method and pay for the order including the shipping fee. We will send the items within 3 days once your payment is completed. We do not guarantee delivery time on all international shipments due to differences in customs clearing times in individual countries, which may affect how quickly your product is inspected. Please note that buyers are responsible for all additional customs fees, brokerage fees, duties, and taxes for importation into your country. These additional fees may be collected at time of delivery. We will not refund shipping charges for refused shipments. The shipping cost does not include any import taxes, and buyers are responsible for customs duties. We do our best to serve our customers the best that we can. We will refund you if you return the items with in 7days of your receipt of the items for any reason. However, the buyer should make sure that the items returned are in their original conditions. If the items are damaged or lost when they are returned, the buyer will be responsible for such damage or loss, and we will not give the buyer a full refund. The buyer should try to file a claim with the logistic company to recover the cost of damage or loss. The buyer will be responsible for the shipping fees to return the items. Buyers may request for a replacement within 7 days from your receipt of the product. The buyer should return the product in the original conditions to us and should bear the shipping costs for return. The buyer should return the product in the original conditions to us and should bear the shipping costs for return. If any part is required to be replaced, the buyer should also pay for the costs of the parts to be replaced. Before returning the items, please confirm the return address and the logistics method with us. After you give the items to the logistic company, please send us the tracking number. As soon as we receive the items, we will repair or exchange them ASAP.